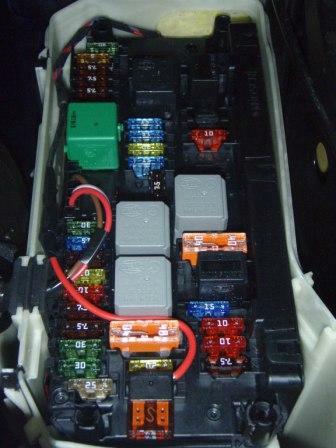 Unlike Mark who posted the DIY (Thanks Mark and Vic Viper) my car does NOT have the fuse box inside the car (left side driver side), and I will have to get the power via the fuse box inside the engine compartment. 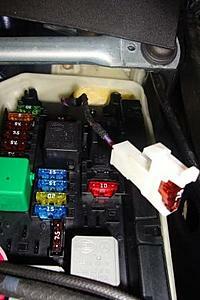 The instruction are vague but it says "Remove front SAM control unit with fuse and Only on vehicles without interior fuse relay module (N10/1) Do not disconnect electrical connectors." Any idea why the connection is different then when the fusebox is inside the car? Last edited by 2nice4me; 08-08-2009 at 12:56 PM. The install of the wiring and doorsills itself went very well but I am puzzled how to get them hooked up to the fusebox. my car does not have the interior fusebox so I had to feed the cable through to the fusebox in the engine compartment and that is where I am stuck. 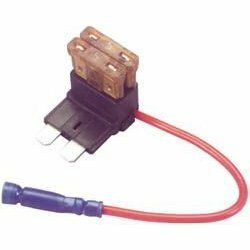 The cable coming from the doorsill harness has a fuse holder that is supposed to be inserted into the fusebox but I cant figure out how that can be done. The price for the p/n: 204 680 3635 is $546 in USA. Is complete KIT. I thought there was a spare connection that connector would fit. If not, you may want to ask the dealer to wire it into one of the slots, if you havnt already. Yeah worse come to worse thats what i will do. It's just the fact that all the work is practically done with the exception for the power connection and then having to pay the dealer probably an hour of labour for something that is likely going to take them 10 minutes? Anyway, i guess thats still cheaper then having them do the entire job..
Just an update. completed the install by using "add a circuit adapter" this gadget allows you to us an existing fuse location and split it to add a circuit with its own fuse. Last edited by 2nice4me; 08-20-2009 at 09:32 PM. Where can i buy the sills? NP. the install is very easy. the directions in the pdf are very good, found that the hardest part was to connect the wire to the fusebox. Last edited by 2nice4me; 10-02-2009 at 08:21 PM. $625!? Is there any place to get them cheaper? Best to search online, the part number is: A204 680 3635 Illuminated door sill panels (set of 2, front). The problem is that the car is still a "new" model, doorsills for older models go for $300 to $400, Dealers here in Canada were charging close to $900 for mine. Doing it yourself save you money. Sounds like you order the OE ones from them? Just wondering if you had bought the cheaper set for $200, I'm curious to the quality of them. I bought the OEM ones, I would have purchased the cheaper ones had there been a way to get them "door" controlled vs interior light. 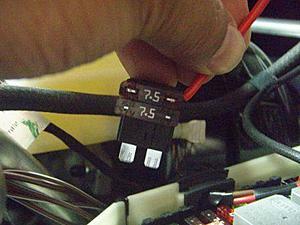 any reason why this wouldnt work on a w202? after reading the diy it seems like it would fit. would it not be easier to connect to the courtesy light that is located on the door? it would be a matter of getting the cables and soldering to existing contacts on the door light so when door light goes on/off, so does sill? or am I being too simplistic in approach? Last edited by neero; 12-08-2009 at 09:12 AM. A simpler way is to just tap a connection off the wire, i.e. strip back some of the insulation, wrap the conductor of the connecting wire and then tape it all up to prevent grounding. The most difficult part is finding the correct wire. Way cool. Wonder if the wife will let me tear apart her new car for a classy mod?? Wow that is a good DIY how much did all that cost you or would cost in the us?